Dr Robert Vangalen graduated from the University of Toronto with a Bachelor of Science degree in 1988 and then returned to the Faculty of Dentistry at the University of Toronto and graduated in 1992 with a Doctor of Dental Surgery degree. 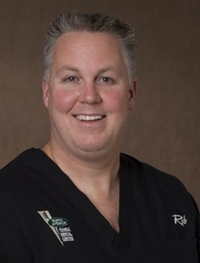 Dr. vanGalen enjoys all aspects of cosmetic and general dentistry. Rob not only maintains the required number of continuing education credits but dramatically exceeds it.